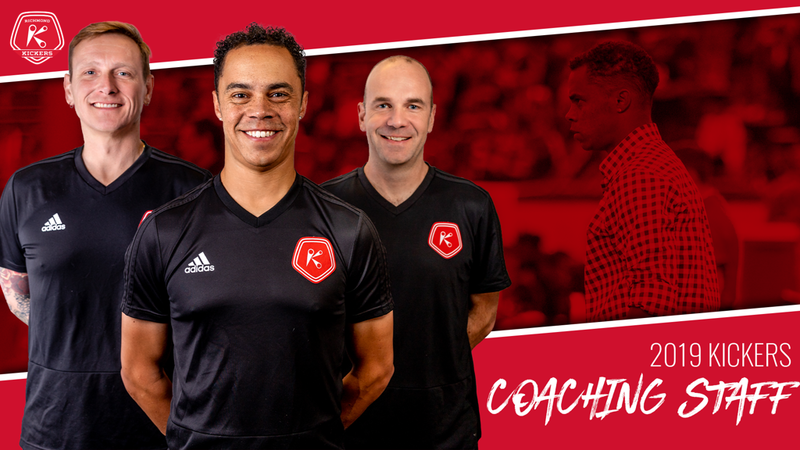 RICHMOND, Va. – (Friday, February 1, 2019) – The Richmond Kickers are pleased to announce that Adrian Clewlow and Mika Elovaara will join Head Coach David Bulow for the 2019 USL League One season. Making 127 appearances with the Kickers from 2006-2009 and 2011-2013 and holding a USSF A License, Bulow is the pro team’s seventh head coach in the club’s 27-year history after being appointed on June 27, 2018. Bulow has been coaching within the Richmond Kickers Youth Soccer Club and Richmond United U.S. Soccer Development Academy for eight years, acting as Richmond United U15, U17 and U19 Head Coach. Over seven seasons as a professional player with the Kickers, Bulow amassed 45 goals and 13 assists en route to three USL Cup appearances. Returning to Richmond in 2011 after a one-year hiatus from the club, he became the U.S. Open Cup all-time leading scorer that season after notching his 14th goal in tournament history against Major League Soccer’s Sporting Kansas City to lead the Kickers to a stunning 2-0 upset and a berth to the U.S. Open Cup Semifinals for the first time since 1995. A native of Denver, Colorado, he resides in fourth place on the club’s all-time career goals list and in fifth place on the all-time career points list. Retiring from professional soccer in 2013, Bulow acted as a Kickers player/assistant coach that season before serving as assistant coach in 2014. Originally from Dover, England, Clewlow returns for his fifth season as Goalkeeping Coach and holds a FA Youth Coaching Certification, NSCAA Director of Coaching Diploma, NSCAA Advanced National Diploma, and NSCAA Advanced National Goalkeeping Diploma. He played in the youth and academy teams for Gillingham F.C. and Chelsea F.C. in England, and also represented England at the U-18 schoolboy level before attending the University of Richmond where he was a four-year starter and two-year captain for the Spiders. The CAA Rookie of the Year was a two-time All-South Regional All-American selection in his final two seasons and led the team to the 1998 CAA Championship. Clewlow’s professional playing career included stints with the Pittsburgh Riverhounds, New Orleans Storm, and two seasons with the Richmond Kickers, before coaching college soccer at the NCAA Division I, II, and III levels. Most recently serving as the Commissioner of the Boys Elite Clubs National League (ECNL), Elovaara comes to the Kickers with a wealth of experience both on and off the field. He was a four-year letter winner at the University of North Carolina Wilmington (UNCW). A four-year starter in college, he is the all-time leader in games started for the NCAA Division I Seahawks while earning his BA in English. Elovaara followed his collegiate career with over 150 professional matches in Finland. Receiving his MA of English Philology from the University of Oulu in Finland in 2002, Elovaara continued his studies, earning his Doctor of Philosophy in Cultural Studies in 2007. Fluent in three languages, Elovaara holds a USSF B License, UEFA B License, and UEFA Football Strength and Conditioning diploma. “David gained a lot of valuable experience last season, and the players appreciated his energy, teaching ability and desire to progress,” noted Kickers President Matt Spear. “He’s had a full offseason to hone his principles, and the valuable preseason with the guys will set the positional qualities, the team shape, and the group tactics. Clewy epitomizes one of our organizational core qualities - joyful. Plus he’s been an incredibly hard-working and loyal soldier for the club. I spoke with several people about Mika and they all confirmed what I see in him - smart, eloquent and tactically sound. And it’s nice to have a PhD professor on the technical side. It’s no surprise to have two coaches on staff in Clewy and Mika with international roots as this is the world’s game. The other quality I like about all three coaches is that they are all family guys like me - married with multiple children. That helps keep us keep perspective."